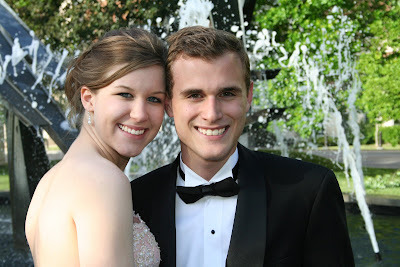 I was asked to be the official prom photographer for the Rosenthal house this year. This is a picture of my oldest son Corben Rosenthal and his pretty girlfriend Kristina DaVee. Their prom was on 5/24/08 and we went to Woodward Park and to the fountain at F&M Bank to take pictures. This particular photo was my favorite.